Terry White Chemists started in Queensland in the 1950s before expanding across Australia. ICONIC Queensland company Terry White Group is set to be bought out, with the directors today announcing a deal with a New Zealand-based healthcare group. Terry White Group has unanimously backed a proposal from EBOS to acquire the 50 per cent of the company shares it currently does not own, at a price of $3.55 per share. In 2016 Terry White and Chemmart merged to form a mega retail group with more than 450 stores and about $2 billion in annual turnover. EBOS is the owner of Chemmart, and took a 50 per cent stake in Terry White Group as part of the merger. 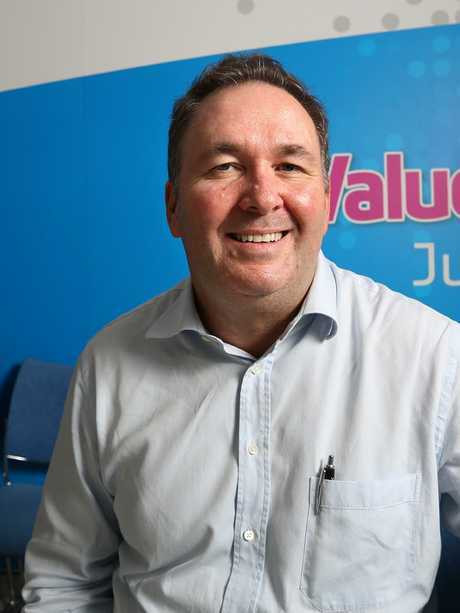 Terry White Chemmart chief executive Anthony White, son of original founders Terry and Rhonda White, said the company had been looking at various capital management options over the past 12 months, and the EBOS offer "came onto the table very recently". Anthony White said it’s the start of a new era. "This is the very best option for the business and the team, and gives us a great opportunities to expand the business," he said. He said the sector remained "very competitive", but there were great growth options for the company. EBOS said in a statement there were no plans to make any senior executive changes, with Mr White to remain in his executive role. "I'm honoured, really pleased, and very excited to be continuing in this role," he said. "To me, it's much more than a business, it's very personal." Terry White Group shareholders will have an opportunity to vote on the proposal in December. The company has a long and proud history in Queensland. Terry White opened his first pharmacy in Woody Point in 1958, while wife Rhonda opened her first pharmacy in 1964 in Clontarf. After Terry completed a stint in Queensland politics, the couple went on to create one of the first pharmacy franchises in the country, allowing the network to rapidly expand. After some time years under corporate ownership Terry, Rhonda and partners reacquired the business in 2009, with son Anthony White taking on the role of chief executive. Mr White said in some ways it did feel "a little like an end of an era". "But it's the start of a very exciting new era as well," he said. "Terry and Rhonda are very excited and passionate about the business, they want to lean into it and put the shoulder to the wheel."